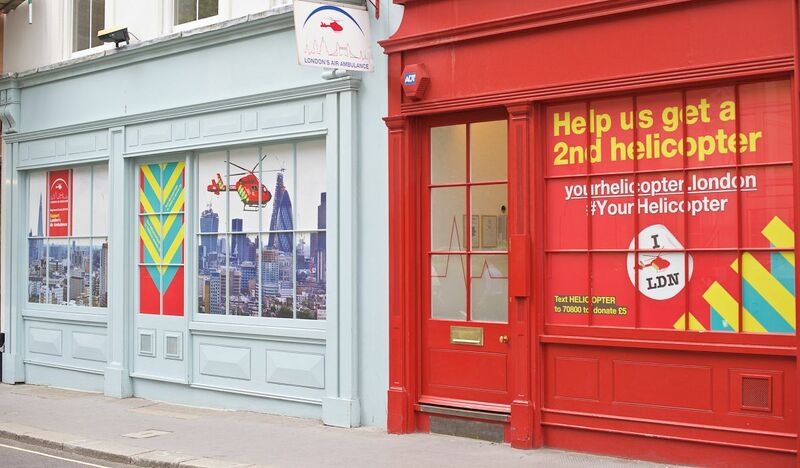 Octink's latest project involved revamping the shop style window displays at London’s Air Ambulance headquarters near Bank as it campaigns for Londoners to donate towards a second emergency medical helicopter for the city. The unmissable call to action graphics are printed on Contra Vision® see through material which creates a vibrant advertisement, to attract the attention of numerous passers-by, but enables the people inside the office to see out and maintain privacy. Octink will be supporting the campaign to its entirety by regularly updating the graphics for the duration of the charity's £6 million fundraising campaign.